This was definitely one of my favorite books of the year. I’m glad you enjoyed it so much too! I hate when books are sneaky like that and end sooner than you expect! Yay! I’m glad you loved it too! haha yeah it’s so annoying when I think there’s enough book left to finish the storyline and then suddenly it’s over! Yes yes, it was amazing! You don’t have to read the first trilogy, you can just skip straight to this one. It is so torturous waiting though! I understand wanting to read them all together. I just couldn’t wait! Glad you enjoyed this! I had a good time with it too – gotta love a good heist story. Only thing I couldn’t stand was the romance between Mathias and Nina, it grated on me enough to knock off a star, but I’m definitely looking forward to the next one. I had a feeling this was your kind of book. I agree the whole Mathias and Nina part did annoy me. At least it wasn’t in the story enough to really bother me. Normally I like forbidden romance, but this one felt like it was all attraction. h it’s great to see you had such a great time with this one! I haven’t read it but I know you don’t do a lot of 10/10 which shows that it’s really good! I’m curious. I am rather stingy with my perfect scores. This is a great book! I hope you read and love it as much as I did! I am so ready for the next book! This is one of my favorites this year too. Great review! I need the next book like tomorrow! There’s no way I’ll be able to wait until September 2016! I’m so happy you loved it too! Thank you! I can understand why everyone’s loving this book! I really liked the first trilogy, but I didn’t love it. (And I pretend Book 3, Ruin and Rising didn’t happen) Although this is the same world the book is not much like the original Grisha trilogy. 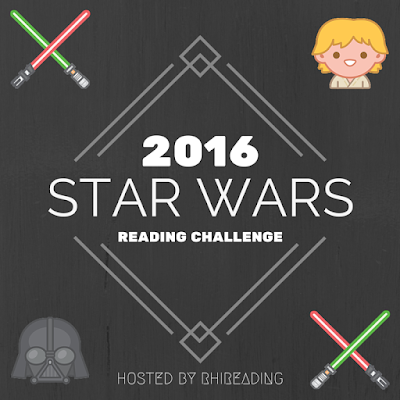 The characters are so much better and there’s much less romance! Also smart characters! I wouldn’t read this one for the romance. I was shipping two characters like mad, but the other two I wasn’t really feeling. Yay! 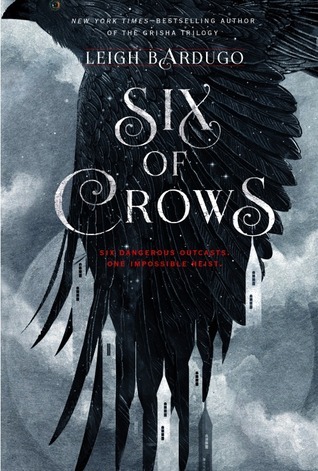 Six of Crows was one of my favorites of 2015, too, so I’m glad to hear you loved it as well. 😀 My only critique was that we never got Wylan’s POV, and there were a few times when I wished we did. Maybe that will change for Crooked Kingdom? I thought that we didn’t get Wylan’s point of view because we were supposed to think he was evil and working against them. I think he’ll probably get his own part next time. I hope so, he was a good character! I’m glad you loved this one as well! I had a feeling you would. This is one of the best books I have read this year as well! I love Kaz the best too, he is awesome anti-hero 🙂 Cannot wait for sequel! Yay! I’m glad that you enjoyed this one as much as I did! Kaz is the best! I have a soft spot for anti-heroes and he was so well done! I know! Usually I hate cliffhangers, but this one just made me crave the next book! Why couldn’t she have ended it just a bit sooner? I’ve seen so many great reviews for this that I just know I need to make time for it, eventually. 😛 So glad you loved this Molly! Everyone seems to be reading and loving this book! I want to be able to do the same as well :3 I am going to be reading the original Grisha series before I get around to this one but knowing that it is so wonderful has me anticipating it like crazy. So Excited! WOW this is high praise! I loved the characters too, they were my favorite part. I liked this book, but I still feel like a black sheep because I didn’t loooove it. I think I read it at the wrong time too- mid NaNo, mid personal stuff, and I just wasn’t as into it. I will try to reread it before the next book! But the characters were definitely amazing! I also need to read Uprooted! Your 10 star review is making my grabby hands go out and buy this book now! I’ve seen so many glowing reviews for this book/series. Plus with flawed characters? How could I resist!? Weak and feeble characters are my favorite dish! I can’t wait to read this book! I expected it to be just a fantasy book with crows in it… (haha). I never expected it to be a heist story and usualy I don’t like to read synopsises too much. Now I am even more excited though 😀 Heist sounds much better! Woah 10/10! I really need to read this now 😀 I recently read Shadow and Bone and want to finish the other two first though. But you got me really excited to read this one 😀 My favourite books this year were Winter, Made You Up and Carry On. I still need to read Uprooted, but it’s on my shelf, waiting for me!